The Book of Acts chronicles the young church’s movement through several phases of organizational growth. 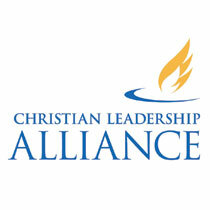 Christian ministries and leaders can benefit from what Acts teaches about ministry life cycles. At the center of all Christian life and mission is Jesus’ command: “Follow me!” What do we witness when we obey? The lame walk, the blind see, the lost are found, the proud are humbled, and prisoners find freedom. For Jesus’ first disciples, the command to follow had a literal component — they joined Jesus in his itinerant ministry. But after Jesus’ death, resurrection, and ascension, the early Christians entered a new era, one where “following” meant learning to continue the master’s work in his absence, under the guidance of the Holy Spirit. The Book of Acts chronicles the young church’s movement through several phases of organizational growth, change, and re-alignment. We have seen similar phases played out in the life of Prison Fellowship Ministries and other Christ-centered organizations. These phases are not necessarily sequential, nor do they all apply at the same time, but we believe they apply broadly to Christian ministries, and that other leaders can benefit from what Acts teaches about ministry life cycles. Acts begins with a group of 120 people described as “believers” (Acts 1:15). They are likely depicted this way because ministry begins with faith in God, expressed in loving obedience to his will. Obedience is the foundation of all ministry. When the believers followed Christ in community and devoted themselves to the Apostles’ teaching and to one another through generous sharing and caring, nothing could touch them! The church grew rapidly (Acts 2:42-47). Prison Fellowship is the world’s largest prison ministry partly because in 1973, enduring the disgrace of the Watergate scandal, Chuck Colson met Jesus. He heard the gospel of Jesus Christ and responded in obedience. He became a part of the community of faith and was unashamed to proclaim to the world that he had been born again! After he was released from prison, the Holy Spirit led him to found Prison Fellowship and minister to prisoners. Chuck obeyed. As the early Church grew, its leaders did not let the challenges associated with growth cause them to lose their focus. Delegating administrative tasks as needed, they gave their attention to the ministry of prayer and the Word (Acts 6:4). These represent the two basic necessities for ongoing ministry. In the early years at Prison Fellowship, it was hard to get permission just to get into prisons, so we started small. God used the prayer of a prisoner to open the heart of the director of the federal Bureau of Prisons, and we actually received permission to bring small groups of prisoners to Washington, D.C., so that they could be trained in the Word of God and go back to their prisons as ambassadors for Christ. Over time and through much prayer, God opened many more doors, and the ministry expanded, as it stayed focused on prayer and God’s Word. As the early Church grew (Acts 6:7), it experienced tremendous suffering. Starting with the martyrdom of Stephen (Acts 7:54-60), Christians were pursued and killed. The persecution was not a surprise to God. God often works through suffering to expand ministry. The Church’s early difficulties advanced the spread of the gospel (Acts 8:1), including the conversion of an unlikely character: Saul (Acts 9:3-19). There have been many difficult times in the history of Prison Fellowship: significant financial decline has required us to cut back on programs; the board has made changes in leadership, generating uncertainty; officials have restricted our access to prisoners; and in 2012, our charismatic founder went home to be with the Lord. All these experiences of suffering have drawn us to a place of dependence on God. It is precisely in such situations that we have received his gracious provision in inexplicable ways — and always in his timing. By Acts 11, we see that the Jews had difficulty with the fact that Gentiles were becoming believers. But God makes this point to Peter: “What God has cleansed [referring to Gentile believers], no longer consider unholy” (Acts 11:9 nasb). Those who were not culturally labeled as “unclean” needed to realize that the gospel was not just for them, but for everyone! Sometimes change must take place in leaders for ministry to grow. Notice that God delivered this “change” message to Peter, the Jewish leader of the church, three times in a vision (Acts 11:10). Sometimes it takes repetition for leaders to get the message. It’s often hard for believers outside prison walls to work with prisoners, because we see them like the Jews saw the Gentiles: unclean. Perhaps the greatest hindrance to ministry for God’s church outside prison walls today is the fact that we think we are better than the people to whom God has called us to minister. Just as Peter had to change his mindset, so must today’s leaders! We must realize in humility that we are all recovering from something and reentering from somewhere; we have all been prisoners of sin, but like us, men and women behind bars can look forward to being completely restored to their God-given potential through his love and power. Ministry stays on track when leaders foster the creation of programs that work toward the main objective from different angles. In the early church, we see God’s people working together and performing different tasks aligned with the advancement of one thing: the gospel. Paul’s early work was evangelistic. As people responded to the gospel proclamation and the community of faith grew in different cities, the ministry became far more collaborative. While continuing to do evangelism, the collaborative work expanded to include building up leaders in churches to serve as agents of transformation in communities across the ancient world. We see in the rest of Acts and in Paul’s epistles to leaders and churches that ministry became multi-faceted. With many co-laborers doing different tasks, ministry flourished because Paul encouraged other workers to undertake their callings — all in track with the goal of spreading the gospel! In this current post-founder life cycle era, we have declared this the “year of alignment” as we assess our alignment around all God has called us to steward. We are still proclaiming the gospel, but similar to what Paul experienced in Acts, our ministry is now multi-faceted. Today, outside the walls, we are helping Christians integrate their faith with all aspects of life at The Chuck Colson Center for Christian Worldview, while also bringing reform to our criminal justice system through our work at Justice Fellowship. Within prisons, God has opened doors for Prison Fellowship to minister collaboratively around the world. As all these segments work together toward a single end, God has given us an unprecedented platform for effective ministry! We undertake this task with an understanding of where we are in the life cycle of Prison Fellowship Ministries, and with an appreciation of the truth that all ministry is ultimately not ours, but God’s.